The holiday season can feel more stressful than cheery because of mounting work deadlines, planning a family reunion, or dealing with the crazy December traffic. Feeling anxious when the streets are filled with colorful lights and upbeat carols does not make you a grinch - it simply means you need a break! Just as swiping on a some lipstick or spritzing some perfume can boost your mood, a little self-care can go a long way to making you feel good and maybe even excited about the upcoming celebrations. And yes, it's totally possible to treat yo'self without using up the budget you saved for gifting. Here's an affordable self-care routine that has you covered from head to toe! If your skin can be described as behaved in general, a DIY facial may suit you instead of going to a spa or a clinic. The focus on exfoliation and masking is great for creating a brighter complexion since skin can get dull and ashy when you're stressed. It's also a great way to purge your skin of impurities if you've had one too many nights of crashing into bed without removing your makeup and applying your skincare. It's okay, we've all been there! As a cheaper alternative, you can substitute this homemade tomato sugar scrub for your physical exfoliation. Another budget beauty hack is to make a lotion mask or use a tablet mask instead of the pre-packed sheet masks. Aside from the face, the hair is one of the first things a person sees. You can take care of it using affordable organic shampoos, conditioners, and hair masks like the ones from the Naturals by Watsons collection. The Pantene 3 Minute Miracle Conditioner (P59/70ml) is also a PV favorite for instantly smoother and softer locks. Changing up your hair color is a good option for revamping your look for the annual Christmas family picture without chopping off your hair. There are plenty of affordable box hair color brands like L'Oreal, Bigen, Revlon, and Kolours. Make sure to read up on our tips for DIY hair coloring so you don't mess up your crowning glory. A full body massage isn't really something you can by yourself, so the next best thing is keeping your skin smooth and moisturized all over. A scrub like this homemade green tea sugar scrub will remove the piled up 'libag' and reveal the revitalized skin underneath. To soothe the skin after, a moisturizing lotion from Aveeno is perfect for dry skin while a calming scented lotion from Bare (P550) makes you feel like you’re in a spa. You can also check out our below P300 lotion recos. Hands and feet are well-used and abused in our daily lives, so it makes sense to pamper them as well. Keep your hands feeling soft by slathering lotion and wear hand gloves overnight. 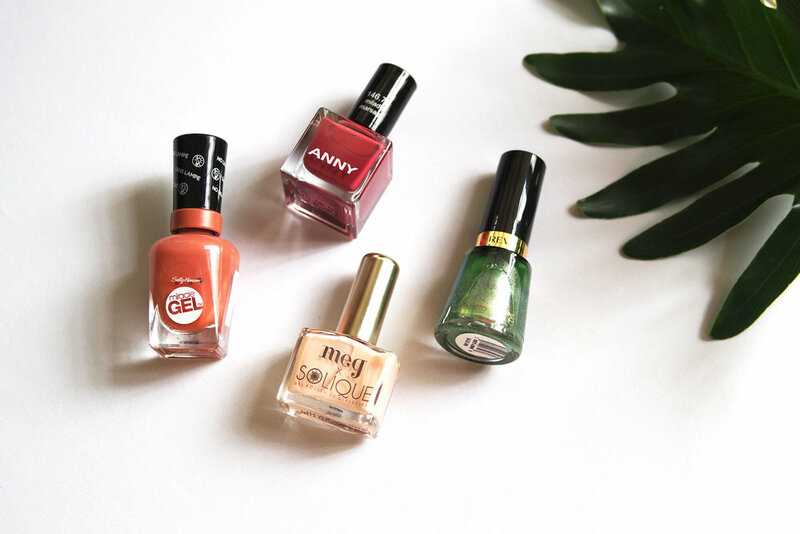 You can also apply nail polish like the Solique x Agoo Gel Polish Collection by Girlstuff (P180) which dry quickly and last for quite some time. You may even want to gift these cutesy Happy Skin x Sanrio Express Gel Polish (P299) to a fellow nail polish addict! Relieve commute stress from your feet by having a foot spa at home. No need to file away; just slip on a pair of foot masks and let the calluses peel off! I personally tried using the Baby Foot (P830) and had dramatic long-lasting results; it's something that you can do every 2-3 months for sandal-ready feet. For a more spa-like experience, there's also a Baby Foot Sakura (P830) variant that smells like flowers and works just as well. You can also try foot patches, especially after doing a lot of walking (from your daily commute or marathon shopping). Apply them overnight and feel your tired feet muscles relax. Of course, no self-care routine is complete without something to set the mood. Plants or flowers help you feel reconnected to nature while scents can evoke calming or peaceful emotions. Zen Zest is a good source for affordable scents, and they have a wide array of room sprays, deodorizers, and scent diffusers to engage your senses. These are just some of the many ways we try to save where we can on our self-care routine. What do you use for your own?